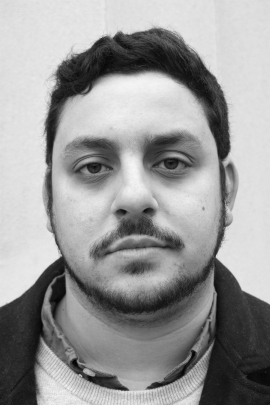 Chad Abushanab is the winner of the 2018 Donald Justice Poetry Prize. His debut poetry collection, The Last Visit, was published by Autumn House Press in March 2019. His poems have appeared or are forthcoming in The Believer, Best New Poets, Birmingham Poetry Review, Ecotone, Southern Poetry Review, Measure: A Journal of Formal Poetry, Shenandoah, The Hopkins Review, Unsplendid, and 32 Poems, among others. He earned his PhD in literature and creative writing at Texas Tech University. He is an associate editor at Iron Horse Literary Review. He currently lives in Iowa City.